Imaginary Girls comes out on Tuesday! Because I’m an intensely impatient person I’ve decided to hold a giveaway right now to win a SIGNED copy of Imaginary Girls—and I’ll include some Imaginary Girls notecards too. I’ll randomly select a winner on midnight of pub day—so 12am EST Tuesday, June 14. Maybe I’ll choose two winners if I’m feeling wild and crazy. For this one time, the giveaway is open internationally. That’s it. So if you want a signed copy of the book, plus some cards with the beautiful cover on them, enter by leaving a comment ON THIS POST! Next Article Midnight Winners of IMAGINARY GIRLS Because Today Is Pub Day! Whhooo! I would love to be considered for this, lovely Nova! LizUK over at Twitter – I’ve just rt’d your tweet. Oh man, I never win these things, but I’ll light an extra candle for this one, because I want to read this book more than the internet love kittens. This book sounds great, and I’m looking forward to reading it! Thanks for giving us a chance to win! Thank-you so much for the giveaway Nova! I cannot wait for Imaginary Girls to be released! Getting a SIGNED copy would just be amazing. Really excited for the release. ALSO..REALLY WANT TO WIN, and I love your trailer so I put it up at the sidebar of my blog! I’ve been hearing great things about your novel and I can’t wait to read it! I’ll be buying it for sure, but winning it would be nice too! Then I’ll have a copy to share with my roommate. YAY fun contest, I’m dying to read your book! I read the first chapter of your book and loved it. I can’t wait to read it. Thanks for the awesome giveaway! This book looks gorgeous, I can’t wait to read it. This looks & sounds fantastic–what an awesome cover! I RT’d your tweet & shared your trailer on FB. I love giveaways! I am so excited for this book! I would love to be entered. I forgot your release date the other day and went to look it up–and was very happy it was so close. I would love to win an autographed copy of your book! I just can’t get over the cover of this book! Good luck to everyone. Thanks for the opportunity to win. You can’t have too many copies of a book, right? Especially if one of them comes with notecards. Looks like an excellent book and I can’t wait until I’m able to read it. I want to read your book. Thank you for making this giveaway international. Thanks for this giveaway! I’m so glad that you decided to have one. I can’t wait to read Imaginary Girls. Only 3 more days!! I was really mesmerized by the trailer for your book and now I’m very curious to know what the book’s like to read! I’m excited for it to be released on Tuesday. Good luck! I would really like to win a copy of Imaginary Girls. The title sends chills down my spine. What a great contest! *crosses fingers* I tweeted about the contest! Linked this on Facebook! I am so anxious to get my copy!!! I went ahead and shared this contest on Facebook and Twitter. I am looking forward to reading this book. Lovely contest! I tweeted about it here: https://twitter.com/#!/funnywool/status/79635633232035840. I love love LOVE the cover of this book. Can’t wait to get around to reading it! If you don’t enter, you can’t win, right? So excited! Yay! I so can not wait to read this. I LOVE how amazing it sounds. I’d loooovvveee to win! Either way cannot wait to Tuesday for it to come out. I am so excited to read this book, and you really lucked out with the cover — it is BEAUTIFUL!! Ooooh I want to win. And those are really pretty cards! Excited to see your book ‘out there’! Ooooh, enter me, enter me, enter me! Mee pleeeze! I tweeted, too. Which you maybe already saw. That trailer gives me chills. Thanks for the giveaway! I would love to win a copy!! I lLOVE the cover!! Thanks for the giveaway and congrats on the very near release!! Can’t wait to read this! Have heard many good things. Thanks for the giveaway! This looks really, really good, and the cover is beautiful. This is so kind of you. I would love for the chance to win this. Thank You! So looking forward to reading this! Count me in for the signed copy. I especially like the notecards! Oh god >< I never win these! But I can't wait for this book! I've pre-ordered a copy for my local library hoping it's going to come fast so I can read them! Awesome! I’ve been really wanting to read this. Best cover I’ve seen in a long time! I can’t wait to read it! this is THE book i’ve looked forward to for summer! congrats nova! Oh God, i would love do win a copy! I can’t wait to read this!!!! Thanks for doing the giveaway! I would LOVE to win this. Is there an easy way to delete all the entries above and below me? Great giveaway! I’m super excited to read the book and seriously, the cover is just gorgeous! Your impatient!?! You’ve read it! 😀 Would love to read this SOON! of course @teacher6th tweeted it! I’m super excited to read the book and seriously, the cover is just gorgeous! So excited for this book. Just tweeted about this giveaway! Congrats! Can’t wait for the release! Looking forward to IG being released! Congratulations, Nova 🙂 Wishing you loads of success. Hope my tweet (@furrypad) brings you some readers. I think it’s already real. That read was really really real and one of the best books I’ve read the past few years. Gorgeous cover, by the way! The books sounds great, and I would love to read it as soon as possible! I would be delira to win this. Deleera and delira, in fact. I have retweeted on Twitter. Thanks for the great giveaway and thanks for making it international! I’m so excited for the release of Imaginary Girls! The cover is so beautiful !!! Thanks for the giveaway. Oh man, this is going to be tough, I’m battling more than 90 people for the ARC! XD Thanks for making this an international giveaway! It’s signed, and well, IT’S IMAGINARY GIRLS! I’ve been DYING to read your book for months now, fell in love with it the moment I saw it. 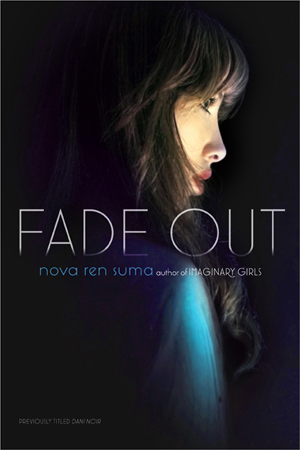 I’d do anything to get my hands on your book, Nova! Yay! Finally an international giveaway! The book trailer is amazing. I can’t wait to read Imaginary Girls! Thank you for the giveaway. Thanks for the wonderful giveaway! It looks great. The trailer is beatiful, and the book sounds amazing! Thank you for holding the contest. Thank youu for this giveawayyy!!!!! Okay! Started the netgalley, but would love a book copy. Only a couple more days! Are you nervous? So excited for you!! You definitely have one of the most beautiful book covers I’ve ever seen! Thanks for having this contest! Thanks so much for the amazing giveaway & for making it international! I can’t wait to read the book and thank you for making it international! That’s awesome! I added this book to my To Read list a while ago, so that’d be cool if I actually won! Of course I’ll put my name in the hat for this! Definitely on my TBR this summer! Happy book birthday! 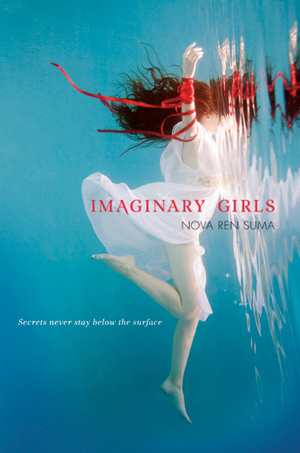 I was lucky enough to have read an advance copy of Imaginary Girls, I will be recommending your work. Even to random strangers. Well done. Oh, I have so seriously been looking forward to this book- and probably going to force my sister to read it afterwards. Thanks for the giveaway! Woot! That’s an awesome opportunity! I can’t wait to read your book. 🙂 I just retweeted (http://twitter.com/#!/carolinseidenk) you also. I’m so looking forward to reading this! Thanks for doing the giveaway (and making it international!). Please enter me! I RT’ed as well! I am so excited for this book, and I LOVE that cover! Thank you for the giveaway, and congrats on the release! Would love to be considered!! Plus I shared this on my Facebook page!! Thank you for this! I’d love to win a copy, please! OMG! I would love to win this. This book is high on my must get my hands on list! Thank you so much for the opportunity and for opening this internationally!! Congrats and I’m so excited to read Imaginary Girls! I have followed your progress all this time, and it is just wonderful to see your success. Congratulations! I can’t wait to read Imaginary Girls! Thanks for this giveaway, and for making it international!! Definitely excited for your book! Happy week!! Looks gorgeous and something I’d love to read, win or not. But I’m here and I’m in it to win it. Best of luck on your pub date launch! Tweeted the good news as well so that’s 2 for Moi. Ut oh. I feel a competitive streak emerging. I vote for being wild and crazy ! And I second all previous commenter / enterers who have appreciated that this giveaway is open internationally – it really is appreciated. how awesome! I hope to be lucky enough to win. good luck to all! thank you for the giveaway though very much! good luck with the sales too. This book looks really good. I guess a lot of other people thought so too! Wow! I’ve heard amazing things about your book (beside everyone talking about how gorgeous the cover is.) Can’t wait to read it! I also shared the contest on Twitter. Thanks for the giveaway, and congrats! Youpi! (That’s French for “yippee”.) I’d love to win this. I cannot WAIT to read this. Congrats on the release! Wow! I am so excited for you. I can’t wait for this to come out. I am so super-psyched to read this book! From what everyone says (FB & Twitter), it should be amazing. I know I was hooked from the few chapters I had access to! I’m very intrigued by the book. i’ll likely pick it up even if I don’t win, but it would be great to have a signed copy. OOOOO Thanks so much for the amazing giveaway!! I’ve heard so much about your book and it sounds AWESOME! I so want this book! Thank god I didn’t miss this big draw! Oh man, I’ve been looking forward to this book because the cover is so arresting! I also retweeted the contest from your twitter feed (http://twitter.com/#!/Hushlander). I’ll definitely be requesting this one from the library if I don’t win! So excited about this book! I am a YA librarian an can’t wait to get my hands on it! I’ve heard nothing but awesome things about this book, so I can’t wait to read it. Yay! I have retweeted about this @virgbell. Can’t wait to read it! It’s been on my list for awhile! Thanks so much for the chance to win, I can’t wait to read it! This book looks really good. One website I trust says it’s awesome, and I’ll take their word for it. I hope I win! I would love to win an autographed copy. The cover is gorgeous, and so are the words! Can’t wait to read this book! The cover is absolutely gorgeous. One of my favorites ever. Thank you for doing this giveaway, I would love to win a signed copy! I’m eagerly looking forward to Imaginary Girls. 🙂 Good luck with the release! 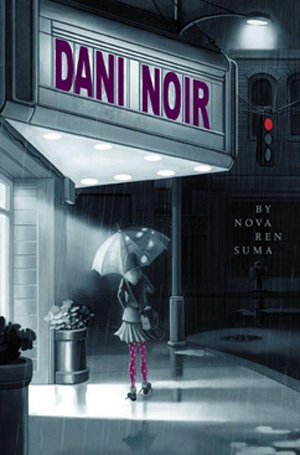 I loved Dani Noir, can’t wait for Imaginary Girls! Very much looking forward to this book! I’ve heard so much about this that I’m rather excited to be able to read it. Thank you for the opportunity! This looks like a great read! Congratulations!!! I’m reading an ARC copy right now and I’m loving it. Reading the sample and LOVING IT. Wow you have an awesome writing style. so excited for the release! Awesome giveaway, this book looks great!! Such a beautiful cover! Looking forward to reading this. Sounds great! I am so excited for your book! Thanks for the chance to win! Ooh, this sounds like an awesome book! Beautiful cover, too! Oh, I want this! Congrats and Happy Release Day! It’s almost here! Love the cover, it is simply gorgeous! Here is my tweet for an extra entry! Thanks again for this giveaway! I loved the free pages that were available and now I can’t wait to finish it! 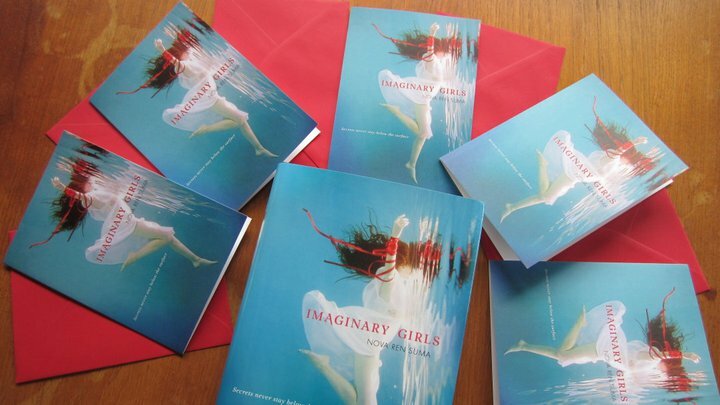 I’d love to win a copy of Imaginary Girls ^-^ It looks amazing! And whoot! Close to the release day~! Awesome! 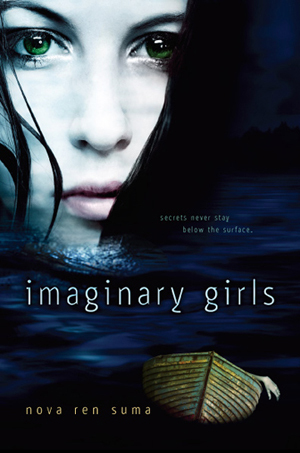 I LOVE the cover for Imaginary Girls, and can’t wait to read it. Awesome giveaway, am so looking forward to your book!! Your cover is amazing, that alone makes me want to open the book and read. I just finished reading the sample available online and love it! Will be buying this anyway if I don’t win 😉 I also tweeted about the giveaway! I just RT’d and here is my entry. This book sounds AMAZING! I would love to enter fellow Nova! Congrats on the pub day and may it be spectacular! I’m squeaking in at the last minute… dying to read this book! YAYYYY! NEARLY THERE NOW! Yay for new books! Im a teacher in love with ya lit…I geek out over new novels and can not wait for this read!!!!! I am eager to read Imaginary Girls. Would love a signed copy. Forgot to mention I tweeted about contest. Enter me to the contest I’ll love to read tjis book. Have raed great reviews. I am DYING to read this book! Been a fan of yours since I heard about Dani Noir, and I remember getting very excited about news on this book, so yeahh…. Also, I have a sister! DOES THAT GET ME EXTRA POINTS? Thanks so much for this! 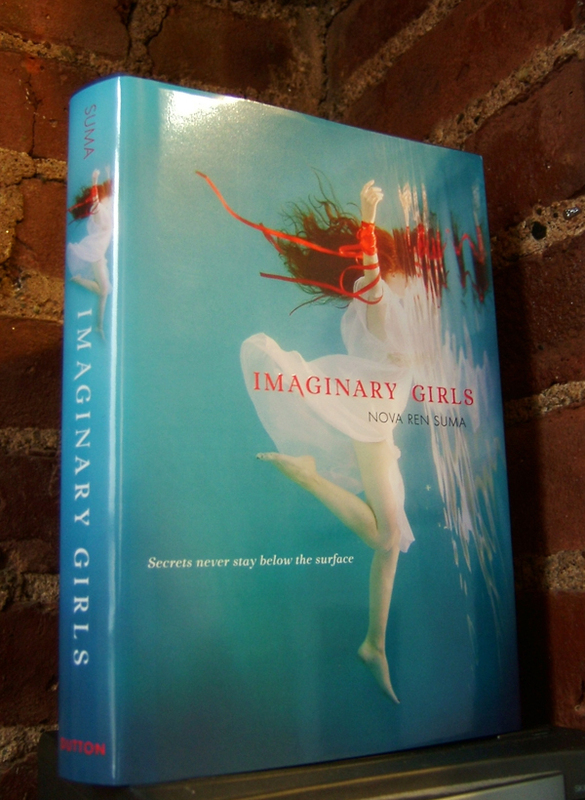 I can’t wait to read Imaginary Girls – it looks sooo good! Oh dear, I hope I am not too late. Would love to read this! please disregard my previous comment.